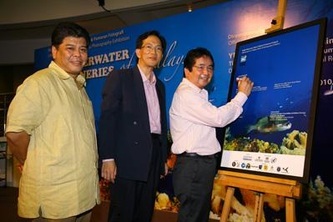 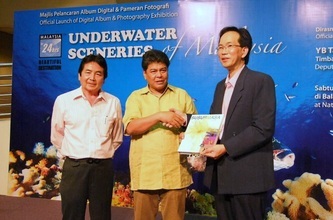 The launching of the Malaysia In 24Hrs Beautiful Destination "Underwater Sceneries of Malaysia" Digital Album and Photography Exhibition at the National Art Gallery Malaysia on 6th March 2010 (6.00pm-8.00pm) has been officially launched by YB Tan Sri Datuk Seri Panglima Joseph Kurup, Deputy Minister, Ministry of Natural Resources & Environment Malaysia. 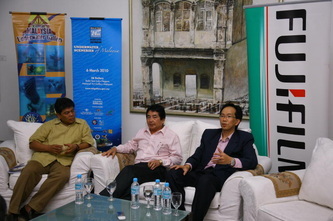 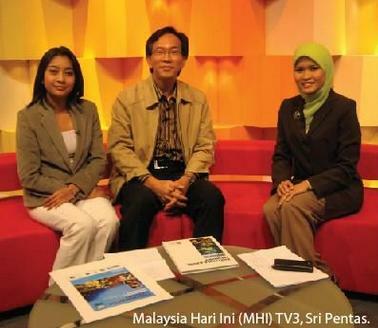 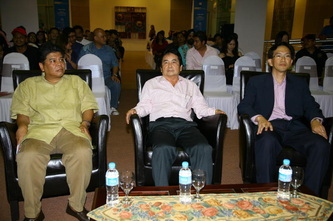 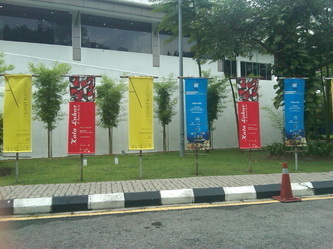 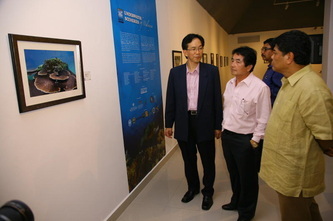 Dato' Seri Abdul Azim Mohd Zabidi, Chairman of National Art Gallery Malaysia, was also present. 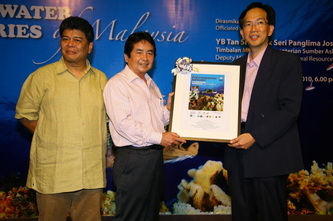 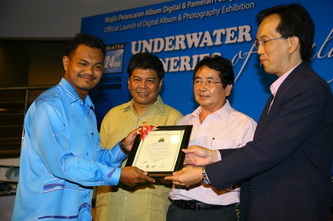 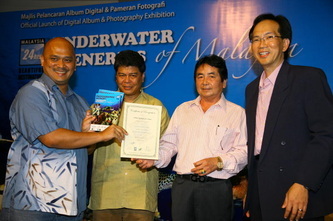 Attended by more than 200 guests and participants, the event was full of happy moments as many of the participating divers in attendance received their Certificate of Participation and 2 copies of the Malaysia In 24Hrs Beautiful Destination "Underwater Sceneries of Malaysia" Booklet and Digital Album. 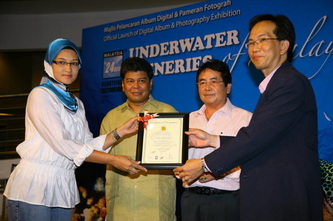 Each of the 42 participants who had taken part also had one of their best images submitted featured for the month-long exhibition. 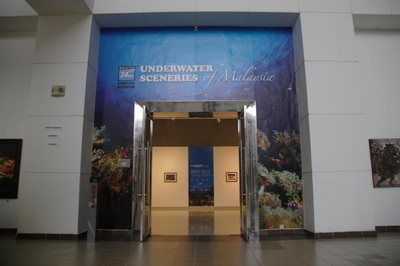 This exclusive photography exhibition is a special showcase of 42 best-selected spectacular images of the scenic and picturesque underwater landscapes and unique marine animals living amongst the coral reefs of Malaysia. 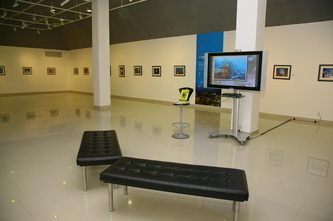 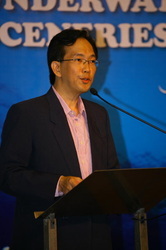 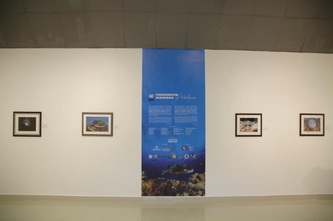 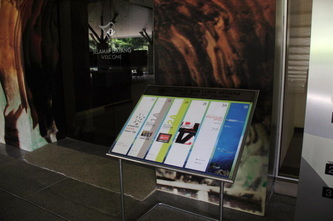 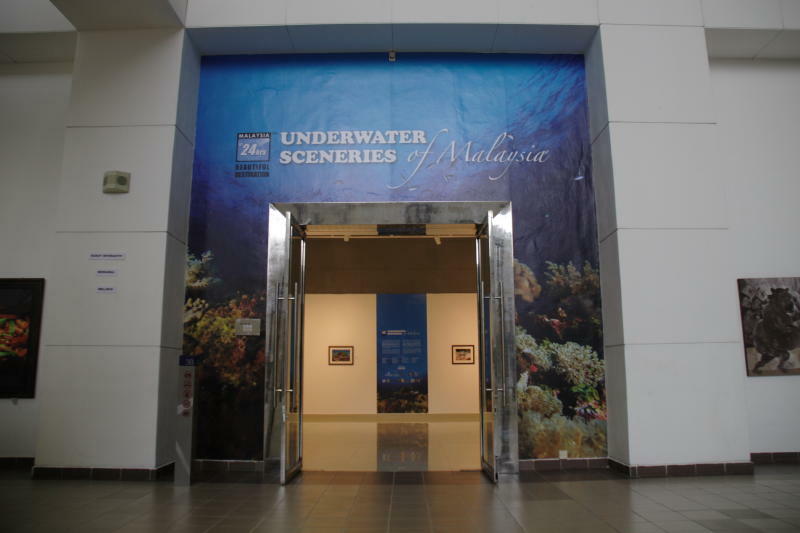 The exhibited photographs are part of the images featured in the Malaysia In 24Hrs (MI24H) Beautiful Destination - UNDERWATER SCENERIES OF MALAYSIA Digital Album Project, created and produced by Stephen Ronee Lau, the founder of “Malaysia In 24Hrs” Series. 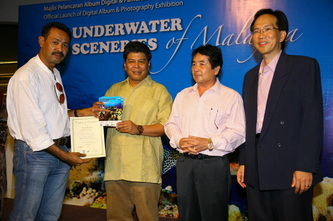 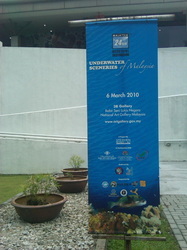 A total of 42 divers and underwater photographers had contributed their images to be featured in this project. 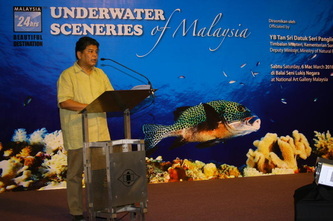 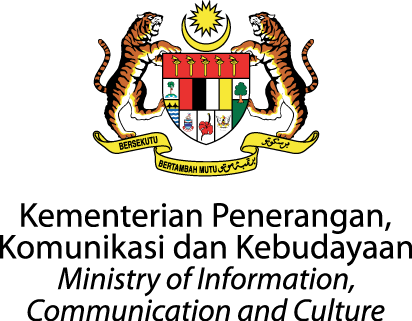 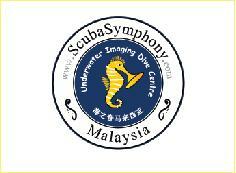 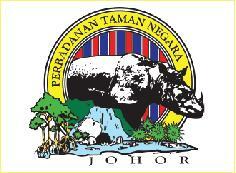 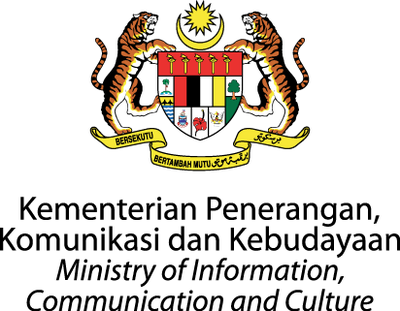 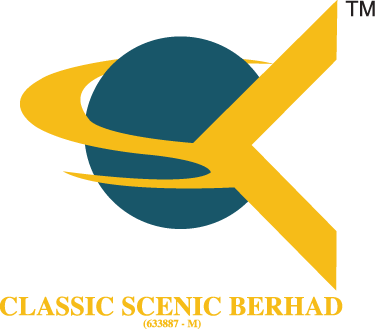 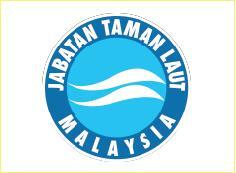 This project is aimed to help in promoting Malaysia as one of the world’s best beautiful destination for scuba diving and underwater activities. 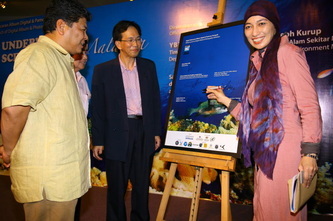 It is also focused to create more awareness on how scenic and wonderful our underwater world is and in hope that more people will contribute towards marine conservation and its related educational programs. 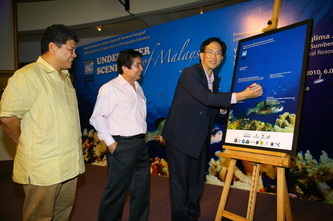 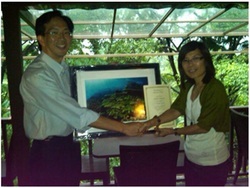 Our appreciation to KL Bird Park (Ms. Nancie, GM) on becoming the first organization to acquire the Underwater Sceneries of Malaysia exhibited image by Mr. Melvin Lee (USoM Participant No:002). 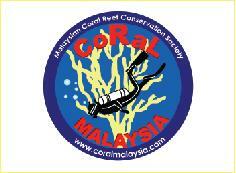 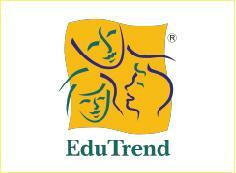 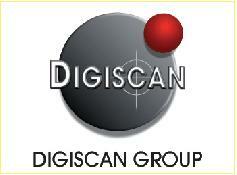 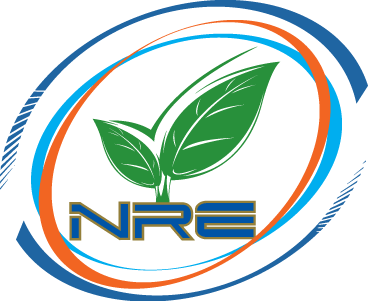 Nancie, from everyone involved in this program, thank you for the support.